What is it about middle school and mathematics? Decades of educational research demonstrate that during the years between elementary school and high school, many students disengage from math and don’t regain their interest—to the detriment of their later schooling, and even their adult careers. A study that followed 273 students over the course of their first year of middle school, for example, found that by spring, the pupils described mathematics as less valuable than they had the previous fall, and reported that they were investing less effort and persistence in the subject than they had before. Andrew Martin, a researcher from the University of Sydney in Australia, set out to investigate what made middle-school students switch on -- or switch off -- to math. The findings of Martin and his colleagues, which were published earlier this year in the Journal of Educational Psychology, were based on data from 1,601 Australian middle school students, from 200 classrooms in 33 schools. Offer a challenge that's well-matched to the child's skill level, with clear goals and unambiguous feedback. 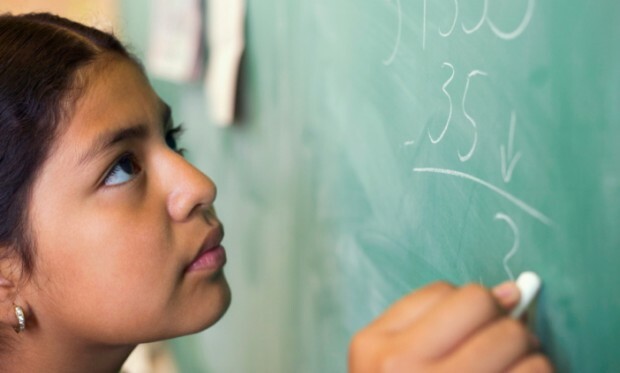 One of the factors they identified in turning middle-schoolers onto math is self-efficacy: students’ sense that they are competent and able enough to solve mathematical problems. To foster and encourage this in kids, Martin recommends that teachers and parents “restructure learning so as to maximize opportunities for success" by building on skills that students have already mastered, for example, and helping kids set challenging but realistic goals. A second element critical to switching students onto math is the value they attach to the subject. Parents and teachers can foster the sense that math is an important and relevant body of knowledge by demonstrating the usefulness of math in the real world, and by making themselves positive role models for valuing math. In fact, parents' own interest in math is another important component Martin and his coauthors identified. Another simple but powerful trigger: Students’ own love math was a strong predictor of their engagement with the subject. Parents and teachers can foster the enjoyment by creating what psychologists call good conditions for “flow”: a challenge that's well-matched to the child's skill level, with clear goals and unambiguous feedback. How do kids get turned off to math? Very simply, the absence of all of the above. Students who feel little self-efficacy in math, who fail to see the usefulness of the subject, whose parents evince a lack of interest and who don’t enjoy doing math are the ones who will turn off and shut down. Martin adds that there is one other element that leads middle-schoolers to disengage from math: math anxiety. He recommends that involved adults help these anxious children to learn relaxation techniques, to deal more effectively with fear of failure, and to prepare for high-pressure situations like math tests. By targeting students for such interventions while they’re still in middle school, parents and teachers can turn on a light that won’t soon be switched off.